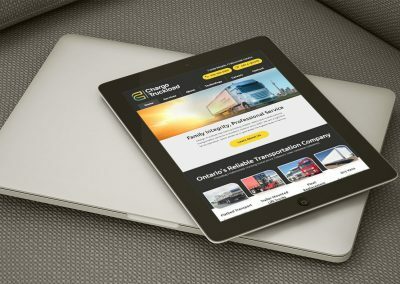 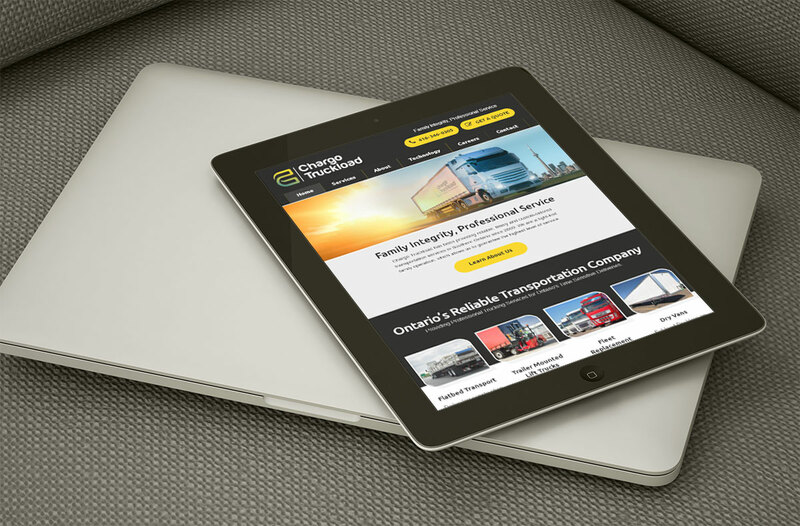 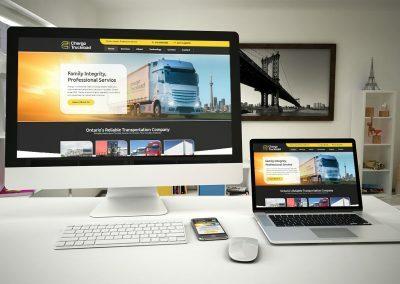 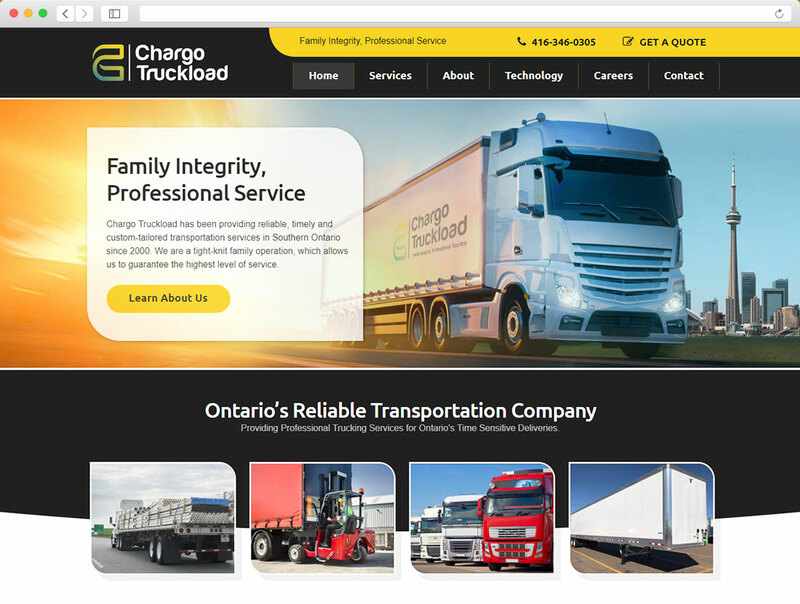 Chargo Truckload is a growing transportation company in Ontario that has been in business for over 20 years. 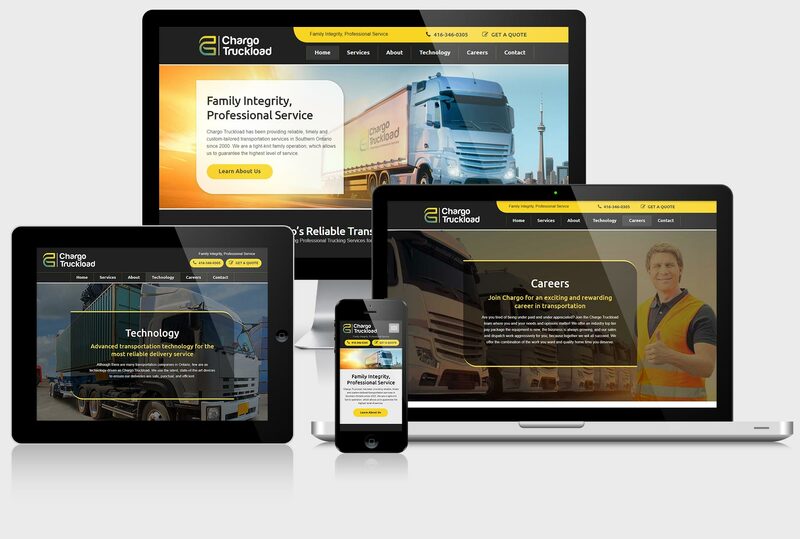 They came to us with an outdated, static website that was not reflecting properly the size of their operation. As a result, large prospective clients were not “taking them seriously”. 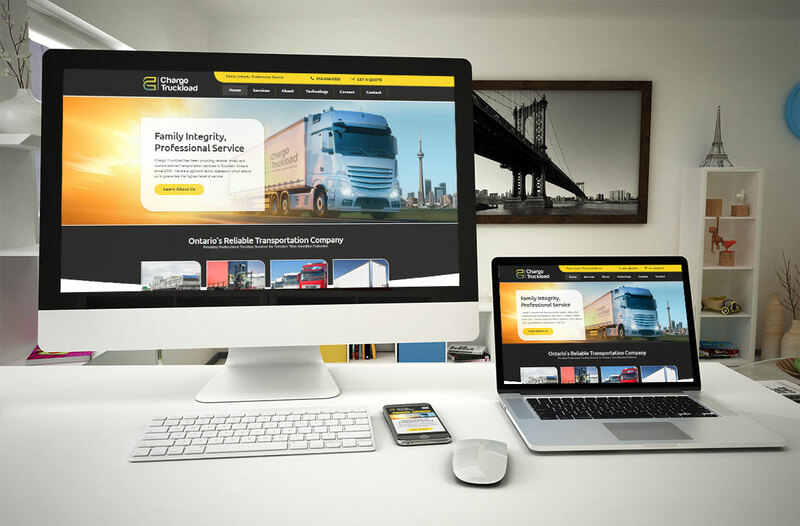 As part of our work together, we created a new logo design and a color scheme to match their existing trucks. 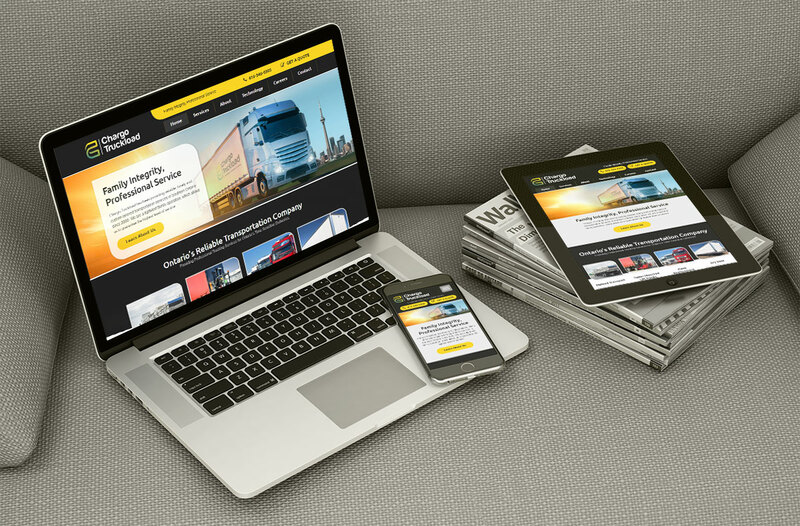 We then proceeded with website copywriting to properly describe each of their services. 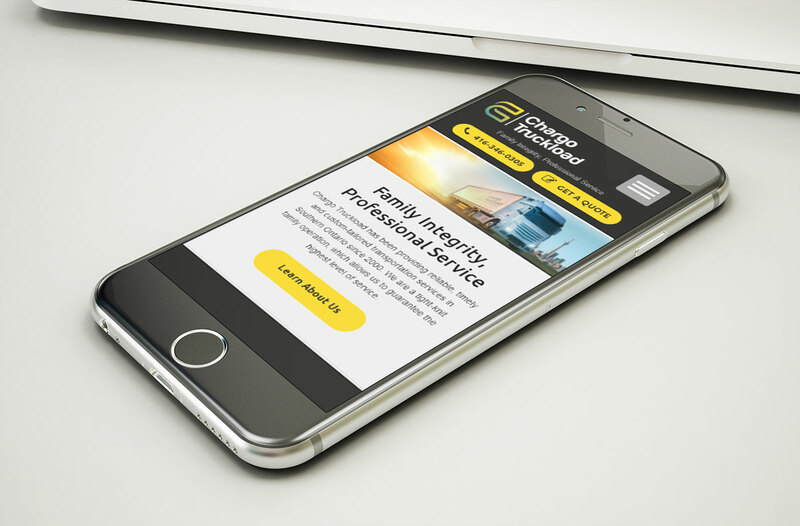 Finally, we designed and setup a mobile-friendly responsive website that better supports Chargo’s current operation. The design of this website adjusts automatically to all screen sizes, including smart phones, tablets, laptops, desktop computer and smart TVs.